PNY is excited to announce the launch of our new contest! 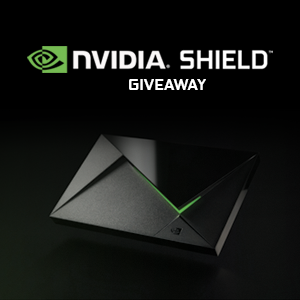 All you need to do is share a project that was created using NVIDIA Quadro professional graphics cards and you’ll be entered into a drawing for an NVIDIA Shield TV. So many cool projects are completed everyday using NVIDIA Quadro professional graphics boards, we are constantly amazed by your creativity and how Quadro GPUs are at the forefront of the technology driving cutting edge projects across a wide array of industries. It’s easy to enter, you just need to share renders, stills or video of your finest projects created with Quadro GPUs on Twitter, Facebook, or Instagram, and mention the @pnypro account in your social media posts. Your content can be created in any professional application (Adobe Creative Suite, Autodesk, ANSYS, SOLIDWORKS, etc). We will feature your work on our social accounts so make sure to share your social handles with us. The contest runs from now until December 15 so make sure you enter for the chance to win the NVIDIA® SHIELD™ TV, capable of transforming your TV experience with hundreds of apps, thousands of games and with the Google Assistant built in! Visit the contest page for full details and to enter the competition.